which prepared by potato, onion, kalonji and few spices. cumin. This seeds are used as a spice in Indian and Middle Eastern Cuisines. for treating headache, nasal congestion, skin diseases and toothache. curry leaves, green chilies and ginger and stir few seconds on medium heat. onion and sauté few minutes until to translucent. spices and give a quick stir to spices till oil separates. diced potatoes along with 1/4 cup water, stir to combine and cover with lid. the aloo on low heat for 15 minutes till to soft and cooked properly. sugar and lemon juice on the top to enhance the taste more, its optional. kalonji aloo with indian breads. simple recipes, simply tadka, blogging marathon, onion recipes. Love the flavor of kalonji. Tried it in my pickles and panch photon. This stir fry looks amazing. I love using kalonji in dishes. I am sure this aloo with kalonji must have tasted amazing..
Just love the flavor of Kalonji seeds in stir fry, delicious dish there. I love the flavour of kalonji. Must try this one out. Wow, what a flavorful and delicious looking potato curry. I've never tried kalonji in curries like this. Will have to give it a try some time. The curry sounds very flavorful and delicious. I love the flavour kalonji gives to subzis..good one.. 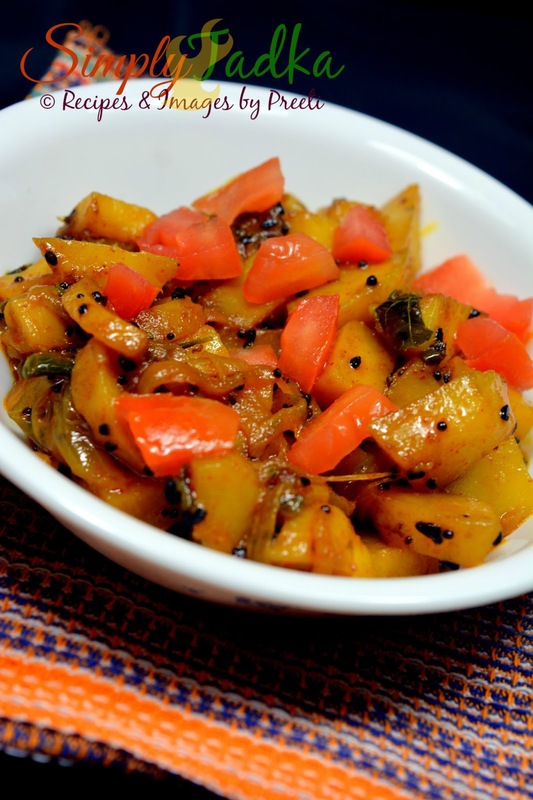 I love the flavor of kalonji and it works so well with the aloo stir fry!